More than one billion people in the world have a disability, yet citizens with disabilities remain underrepresented in political and public life. Participation of persons with disabilities in political process provides a foundation for mainstreaming their inclusion in all aspects of society, by breaking down social stigmas and increasing the accountability of elected representatives. To facilitate the inclusion of persons with disabilities in political processes, ElectionAccess.org serves as a global clearinghouse of resources related to political participation and disability rights. Relevant best practices, excerpts from legal documents, and publications are sorted into one of six categories: legislation, voter education, assistive devices, definitions, media, and the latest news. First launched in 1998 with support from the Ministry for Foreign Affairs of Finland and the Swedish International Development Agency (SIDA), ElectionAccess.org was one of the earliest online resources for information about the political rights and participation of persons with disabilities. After a major renovation in 2015, the website is now an invaluable and fully accessible tool for any organization or individual interested in promoting full access to the electoral process. ElectionAccess.org is managed by the International Foundation for Electoral Systems (IFES), an international nonprofit dedicated to strengthening electoral democracy and supporting the right of citizens to participate in free and fair elections. IFES’ Innovation Fund – an endowment that supports original projects that address pressing issues in democratic development – supported the revamp of the website. Assisting citizen-led efforts to define best practices through the development of global tools such as Equal Access: How to Include Persons with Disabilities in Elections and Political Processes, a manual focused on this topic. In recognition of its efforts, IFES was the recipient of the InterAction Disability Inclusion Award in 2011, which is an annual award presented to organizations that work toward greater disability inclusion within their programs and management. 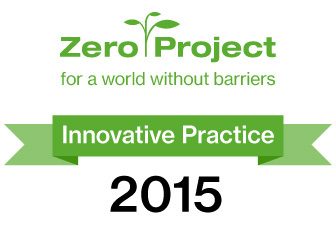 In 2015, IFES' disability rights programming also received two Innovative Practice Awards from the Zero Project, an initiative of the Essl Foundation. One award was for IFES's overall global work to support disability rights, while the other focused on a specific IFES disability rights program in Nepal. The awards provide a platform where the most innovative and effective solutions to problems that persons with disabilities face are shared with stakeholders worldwide.